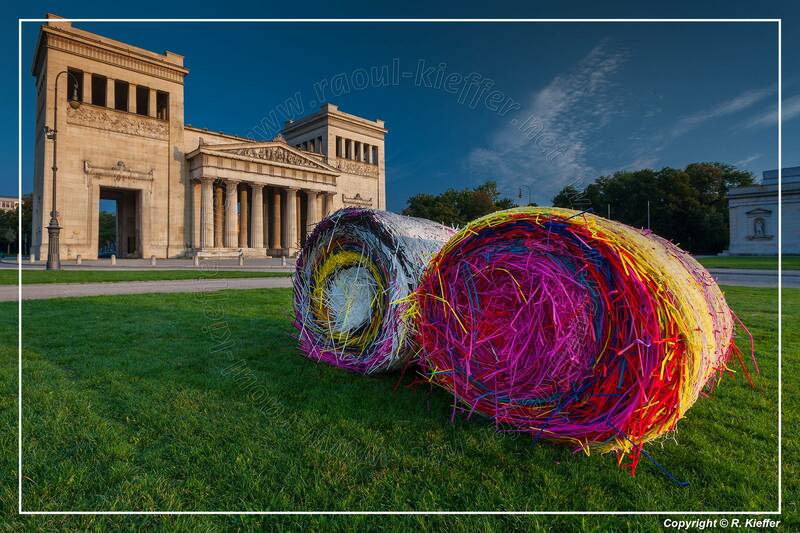 Königsplatz (King’s Square) is a square in Munich. 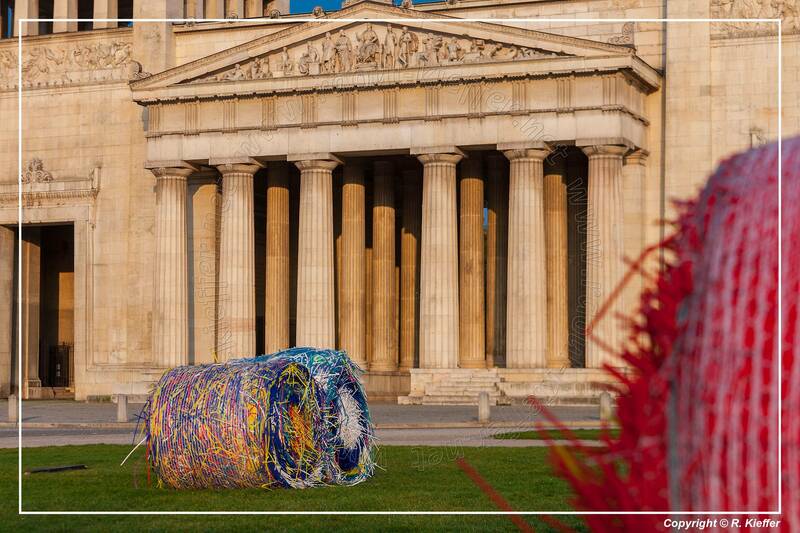 Built in the style of European Neo-Classicism in the 19th century, it is a centre of cultural life. 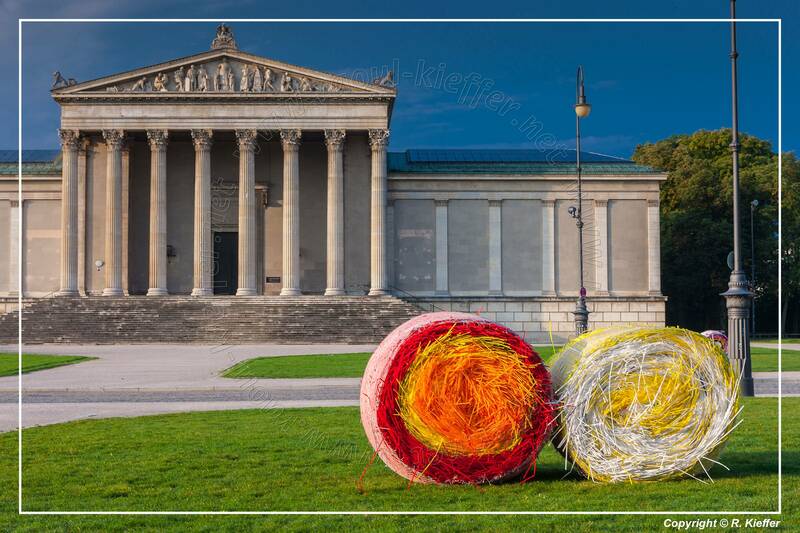 The area around Königsplatz is today the home to the “Kunstareal”, Munich’s gallery and museum quarter. 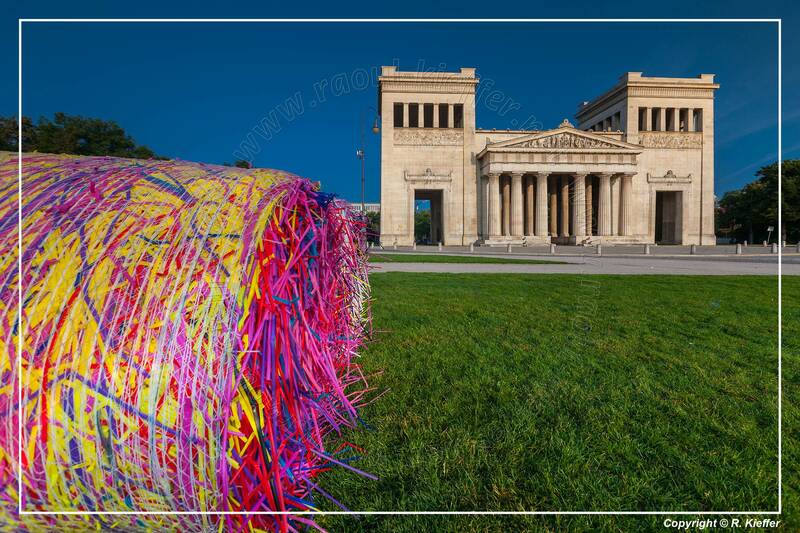 The square was designed as part of the representative boulevard Brienner Straße by Karl von Fischer working for Crown Prince Ludwig of Bavaria and laid out by Leo von Klenze. Fischer modelled the Königsplatz on the Acropolis in Athens. 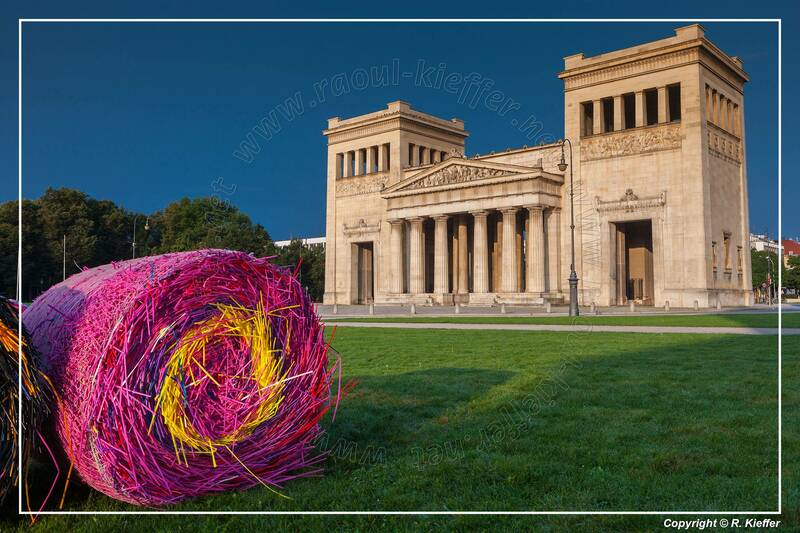 Klenze framed the square with the “Ionic” Glyptothek and the “Doric” Propylaea (created as memorial for the accession of Otto of Greece). The “Corinthian” State Museum of Classical Art was erected by Georg Friedich Ziebland. 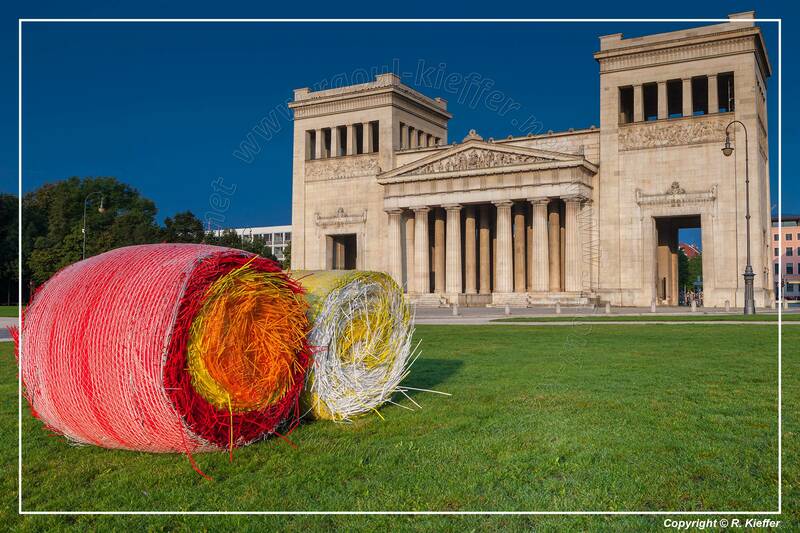 The Lenbachhaus is situated at the north-west side of the square. 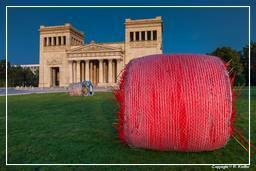 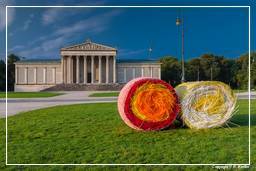 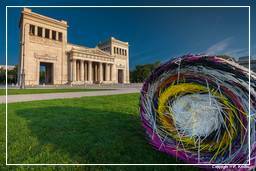 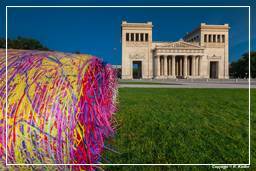 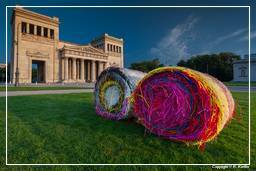 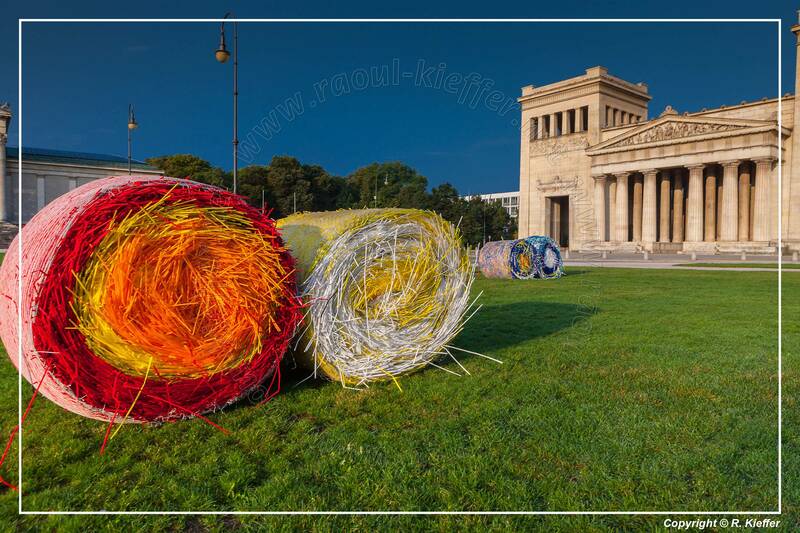 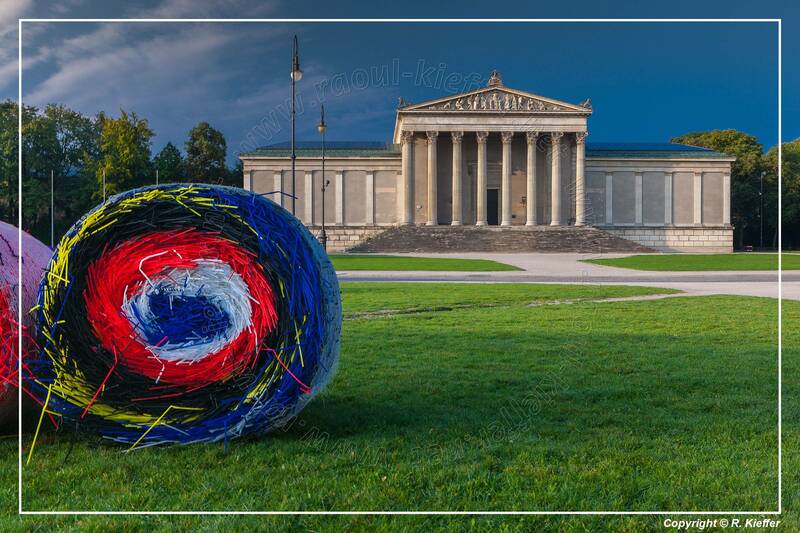 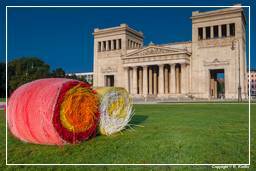 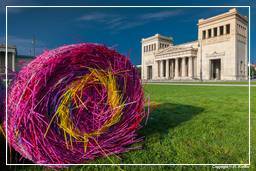 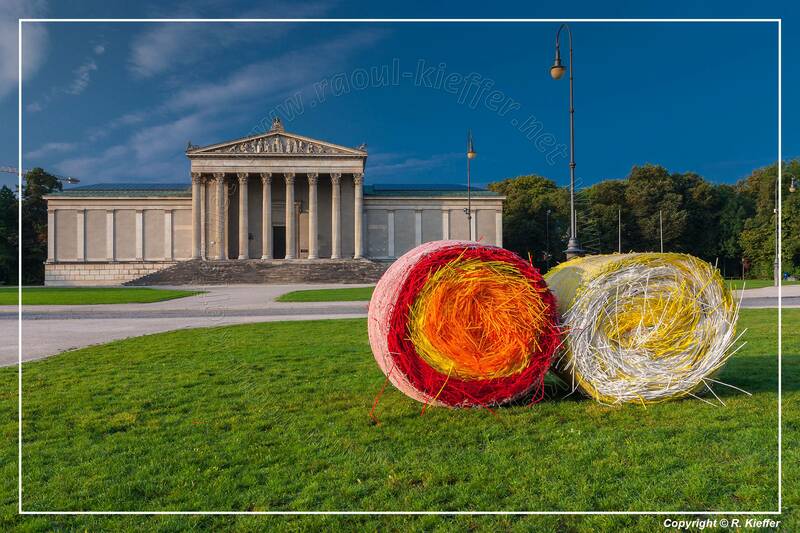 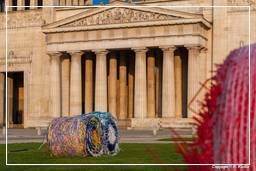 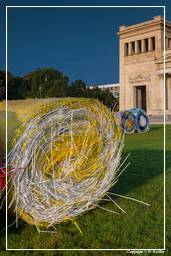 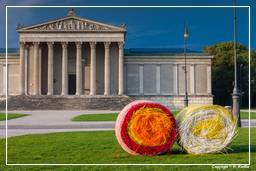 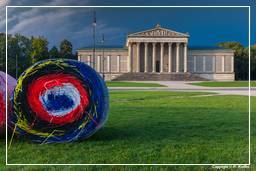 In summer 2014, the artist Michael Beutler scattered numerous coloured bales of long plastic stalks on the lawns of the Munich’s “Kunstareal”. 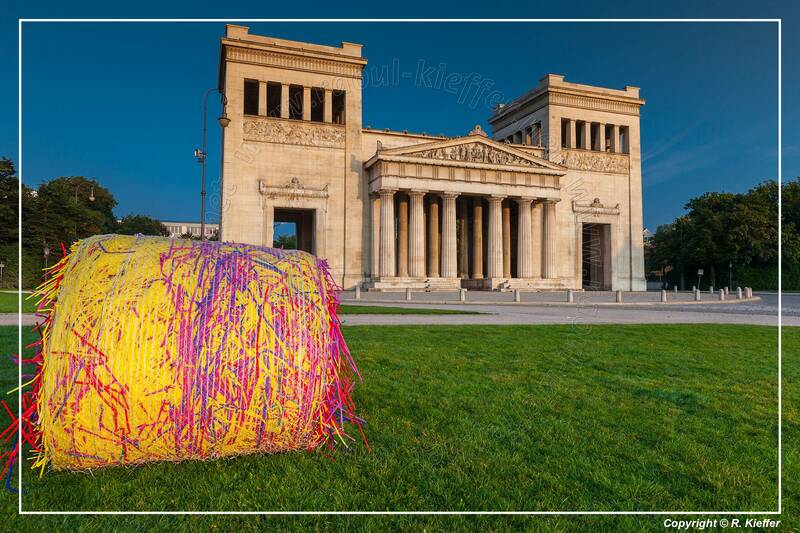 For his “Ballenernte” (“Bale Harvest”) five million different coloured straws were laid out and gathered up into 70 bales. 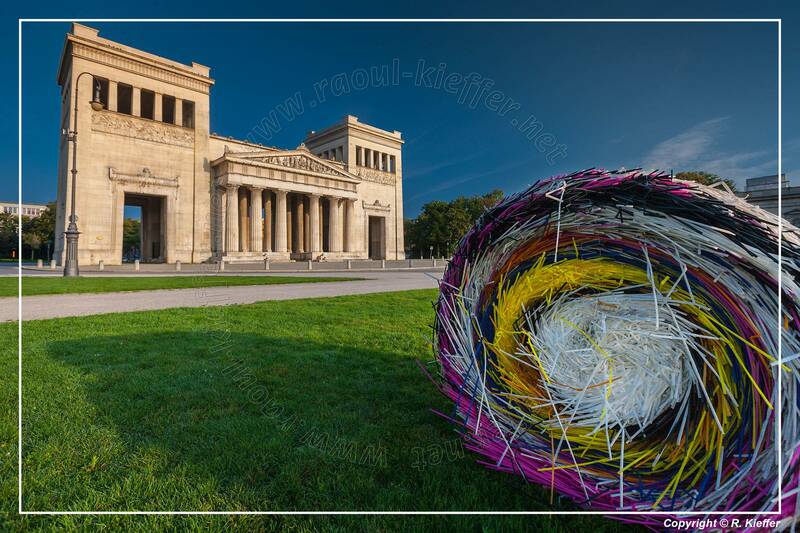 The artist Michael Beutler (born in Oldenburg in 1976) is known for his large-scale sculptural gestures.